Our soils are tested and certified to the highest standards, because we care!. We are the UK's Leading Topsoil Suppliers. We deliver top soil, compost, turf, bark and other garden and landscape necessities, nationwide with next day delivery. All our online prices include VAT and delivery to most parts of the country. 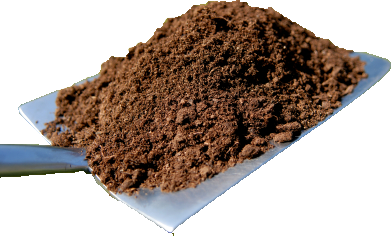 We supply a full range of topsoils, suitable for all garden uses. Included in these is our best-selling vegetable topsoil which is perfect for vegetable growing and raised beds. Our border blend is perfect for creating and topping up flower beds and borders. We also supply a quality multi-purpose topsoil, screened and blended through a 10mm screen to remove stones and lumps. All our top soil is available in 25kg bags, bulk bags and loose loads throughout the country. Whether you need topsoil for infilling or growing prize winning vegetables, in small 25kg bags or bulk loads, Topsoil Shop can deliver to your home or project on time at great prices. We can deliver topsoil in any quantity and any grade anywhere in the UK via our extensive network of yards and distribution centres, with a depot in or near almost all major towns in the UK we are the one stop topsoil shop! Product quality and service are high on our list of priorities and with this in mind we only supply the best products possible. Checkout our customer feedback and product reviews to see just how happy we make our customers feel! Check out our Delivery information page to find out how we deliver. If you need a larger amount it may be more cost effective to have it delivered in a bulk load. We supply topsoil in bulk loads from 10 tonnes upwards throughout the UK. We can offer topsoil in many grades in bulk from economy non certified soil and sub soil to premium blended soil and certified topsoil. BS3882 Certified Topsoil - Bulk loads of BS3882 certified and NHBC Certified topsoil are available with full chemical analysis and test reports available on request, we can source certified topsoils to suite individual requirements. Delivery is available in 8 wheeler loads of up to 20 tonnes per load or articulated tippers carrying up to 30 tonnes per load. We supply three grades of soil in bags, available in 25kg bags and one tonne bulk bags. All our bagged soil is screened to ensure it is free of lumps and easy to work with. You can buy individual 25kg bags or in full pallets of 42 x 25 kg bags as well as buying topsoil in bulk bags in any quantity online. Our bulk bags are filled to approx 1000kg (sometimes called Jumbo bags by other suppliers) Over 50% bigger than the smaller 600kg or 650kg bags offered by some topsoil suppliers online. Bagged topsoil is delivered on pallets via a pallet distribution network, orders can be delivered next day if ordered before 1pm.